1. Which characteristic of the network layer in the OSI model allows carrying packets for multiple types of communications among many hosts? 3. When a connectionless protocol is in use at a lower layer of the OSI model, how is missing data detected and retransmitted if necessary? 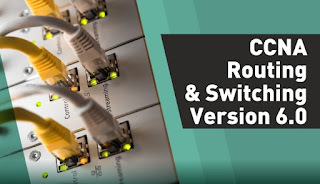 **Upper-layer connection-oriented protocols keep track of the data received and can request retransmission from the upper-level protocols on the sending host. 4. Which field in the IPv4 header is used to prevent a packet from traversing a network endlessly? 5. What IPv4 header field identifies the upper layer protocol carried in the packet? 6. What is one advantage that the IPv6 simplified header offers over IPv4? 7. Refer to the exhibit. Which route from the PC1 routing table will be used to reach PC2? 8. Refer to the exhibit. R1 receives a packet destined for the IP address 192.168.2.10. Out which interface will R1 forward the packet? 9. 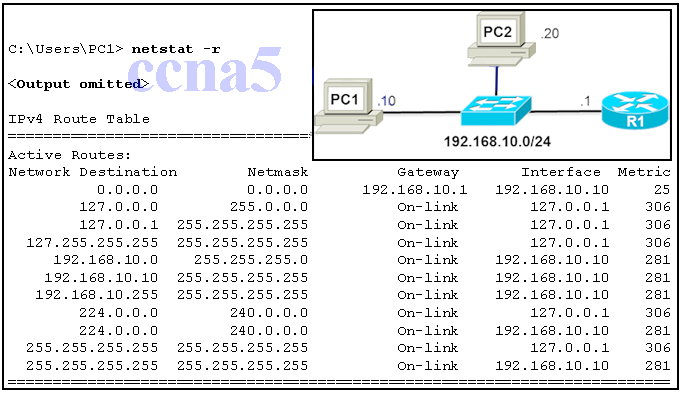 What type of route is indicated by the code C in an IPv4 routing table on a Cisco router? 10. What routing table entry has a next hop address associated with a destination network? 11. Which statement describes a hardware feature of a Cisco 1941 router that has the default hardware configuration? **It has two types of ports that can be used to access the console. 12. Following default settings, what is the next step in the router boot sequence after the IOS loads from flash? **Locate and load the startup-config file from NVRAM. 15. A router boots and enters setup mode. What is the reason for this? **The configuration file is missing from NVRAM. 16. What is the purpose of the startup configuration file on a Cisco router? 18. Which characteristic describes an IPv6 enhancement over IPv4? **The IPv6 header is simpler than the IPv4 header is, which improves packet handling. 19. Open the PT Activity. The enable password on all devices is cisco. **SW1 does not have a default gateway configured. Place de options in the following order. Publicado por El Guille en 4/14/2017 09:22:00 p. m.